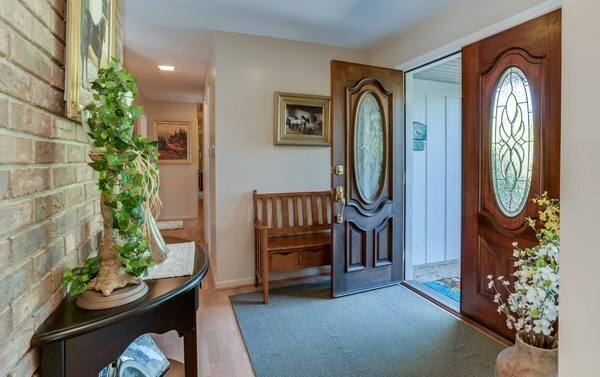 Entry | Decorative leaded glass double entry doors lead into a welcoming foyer. 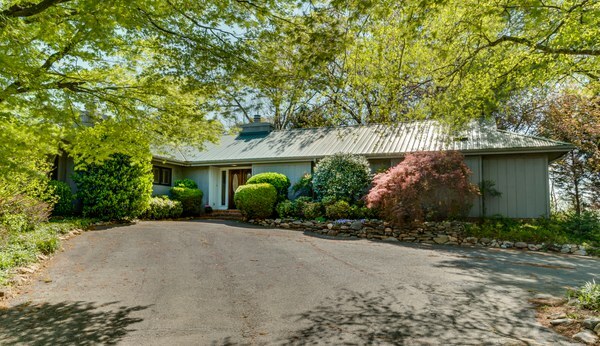 The Residence | This contemporary Tryon-style home offers one-level living and over 2500 sq ft with 3-4 bedrooms and 3 full baths. 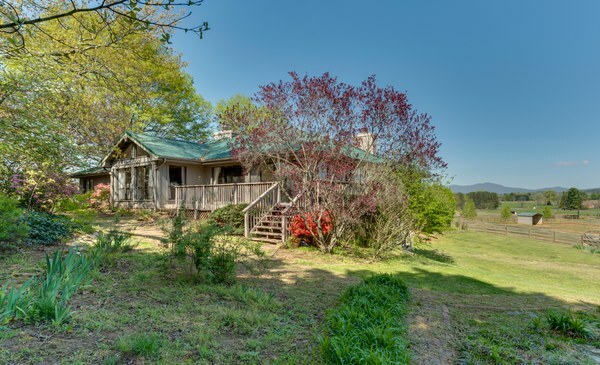 A circular driveway, mature plantings, great year-round mountain views and easy access from home to anywhere on the farm are just a few of the many features. Living room | A vaulted ceiling and floor-to-ceiling windows and glass create a very open light and bright room anchored by an freestanding brick wood burning fireplace with decorative carved mantle. 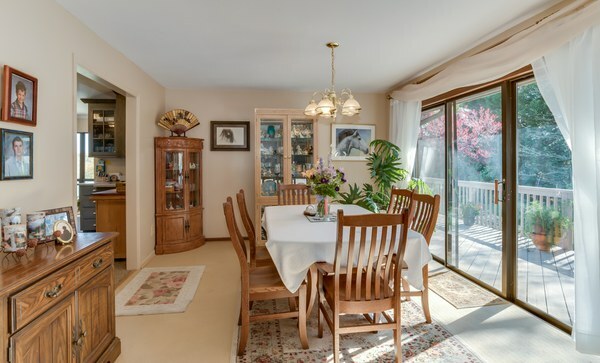 Formal Dining room | Convenient access to kitchen and sliding glass doors open onto deck. 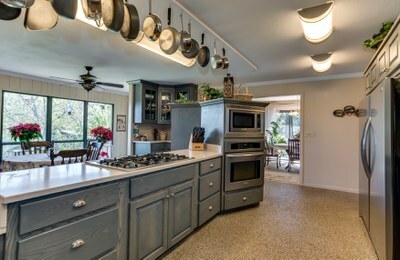 Kitchen | This spacious and nicely designed cook's kitchen is arranged so that everything is within easy reach. 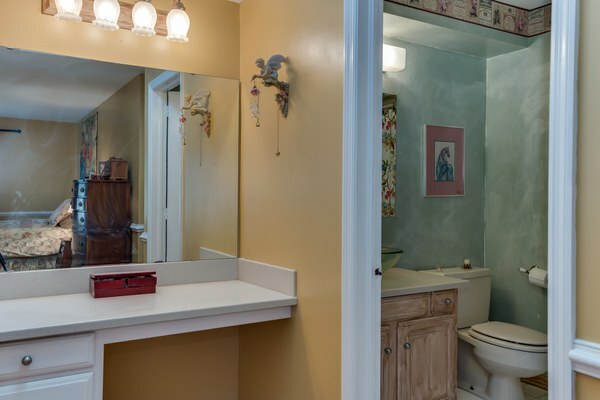 Features easy maintenance Corian countertops, abundant drawers and cabinets, and SS Frigidaire Professional Series appliances including a gas cook top range with very powerful yet quiet downdraft vent. The commercial style ovens and refrigerator/freezer are professionally built-in and seamlessly installed into the cabinet façade. 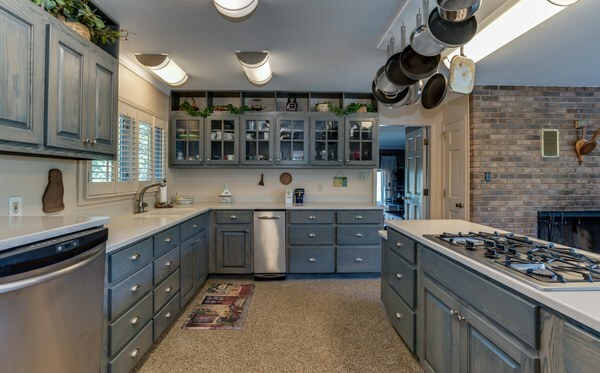 Eat-in Kitchen | This large and open kitchen also includes both a breakfast bar and informal dining area all warmed by a wonderful fireplace. 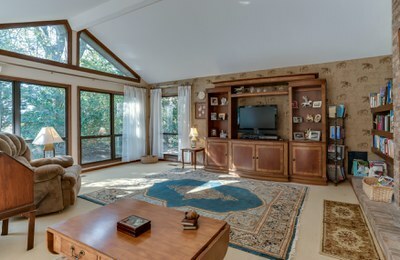 Floor-to-ceiling windows offer pleasant views of garden, pastures and distant mountains. 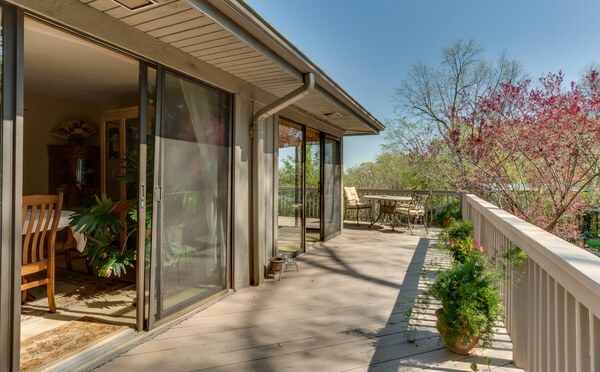 Adjoining screened porch provides easy access to wrap around deck for outdoor entertaining and grilling. 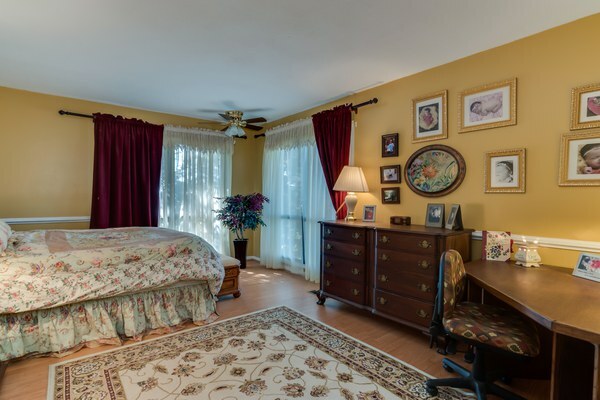 Executive Office/2nd Master Suite | Ideal as office, family room, or 2nd Master Bedroom, this large lovely room is very secluded at the end of the house. 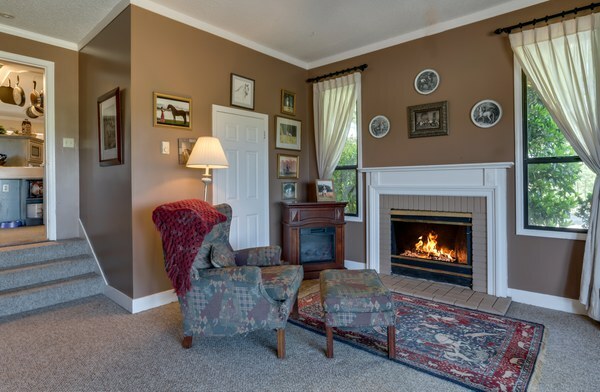 Features an electric fireplace, full bath, easy access to kitchen and a delightful balcony from which to enjoy views of the mountains and your horses grazing in their pastures. 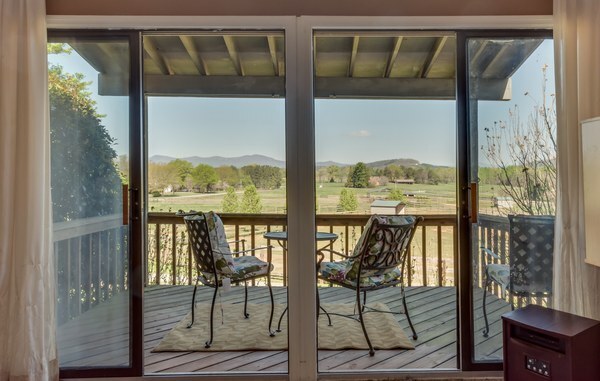 View | A year round view of the Foothills of the Blue Ridge Mountains provides a never ending picture of beauty and serenity. Outdoor living | Wrap around Deck perfect for entertaining and outdoor enjoyment. 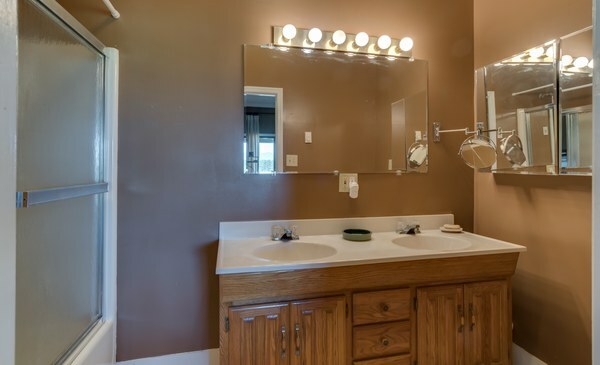 Main Barn | This 10-stall Morton barn offers feed room and separate tackroom with half bath and laundry. 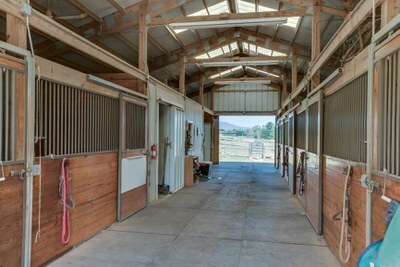 Other amenities include hot/cold water, fly control system and Dutch-style windows in each 12x12 matted stall. Center aisle also fully matted. 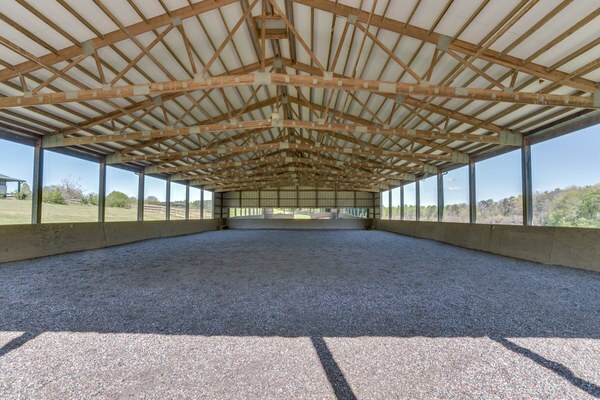 Covered Arena | Designed and built by Morton, this covered arena features a 60' x 165' irrigated, lighted and mirrored riding area. 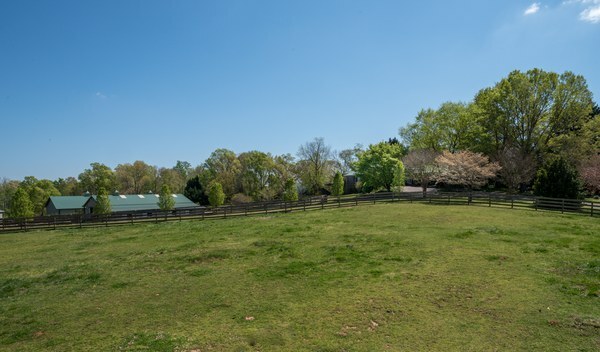 The Equestrian Facility | Multiple paddocks with established fescue grass and individual run-in sheds are fenced and cross-fenced for easy turnout and pasture rotation. 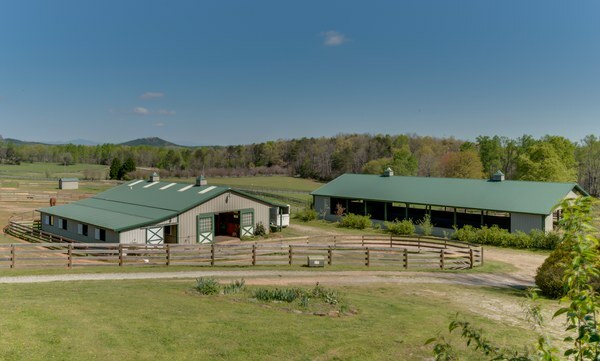 Located directly on the CETA trail system and only minutes from Tryon International Equestrian Center, this versatile farm is ideal as a training center for the professional or small farm for the amateur rider. 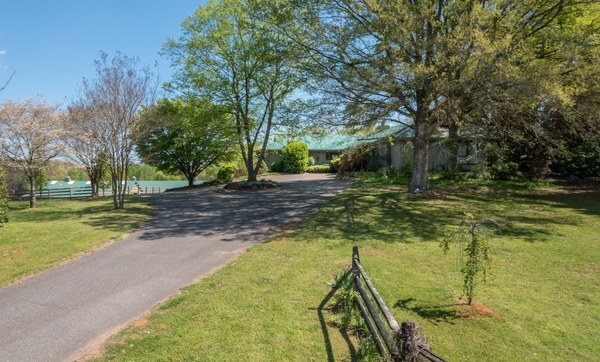 Accessibility | Paved entry with convenient access to barns and easy turn around/parking for horse trailers. Gas cook top range with a very quiet yet powerful downdraft ventilator.